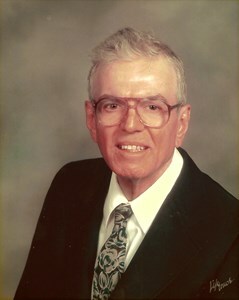 Newcomer Family Obituaries - Charles E. Armstrong 1939 - 2018 - Newcomer Cremations, Funerals & Receptions. Charles Edward Armstrong, (79 years old) was born on January 22nd, 1939 in Newark, NJ and passed away on November 23rd, 2018 in Littleton, CO.
Charles lived most of his adult life in the Denver Metropolitan area. Charles was an active member of the Calvary Baptist Church and participated in Sunday School and the Senior group, Modern Matures. Charles enjoyed being a member of the Denver Museum of Science and Nature and the Denver Zoo. He was also proud to be a part of the Aurora Citizen Police Auxiliary. Charles was a very kind soul who had a gentle and loving heart. He loved his family and friends and they loved him. Charles is survived by his sister Alice Martin, nieces Pamela and her husband Max Schulz, Barbara and her husband John Heffernan, his great-niece Crystal Schulz and great-nephew Max Schulz III. Visitation will be December 5th from 6:00 pm until 8:00 pm at Newcomer West Metro Chapel; 901 S Sheridan Blvd, Denver CO 80226. Services will be held at Calvary Baptist Church; 6500 E. Girard Avenue, Denver, CO 80224 on December 6th at 10:00am, followed by a graveside service to be held at 1:00pm at Olinger Crown Hill Mortuary & Cemetery; 7777 W. 29th Avenue, Wheat Ridge, CO 80033. To share a memory or leave a message of condolence, please click on the "Share Memories" button above. Add your memories to the guest book of Charles Armstrong. I will miss our Charles. So sweet , who loved his cats, and birds. He sent the most beautiful Christmas cards, I always loved getting them from him. I ask him to my 60th birthday party. He got me the most beautiful music box. It had three angels in it , and a verse about worrying, and to tell the angles. I ask him where did he get that beautiful music box, he replied, Hallmark Of corse. How sweet that was. He invited us to his church to the senior groups. We so enjoyed our time with him. We loved our Charles. We had fun times with him, out to eat, to the zoo. Our talks on the phone . Love you, Charles. Our thoughts and prayers are with the family.love you all.